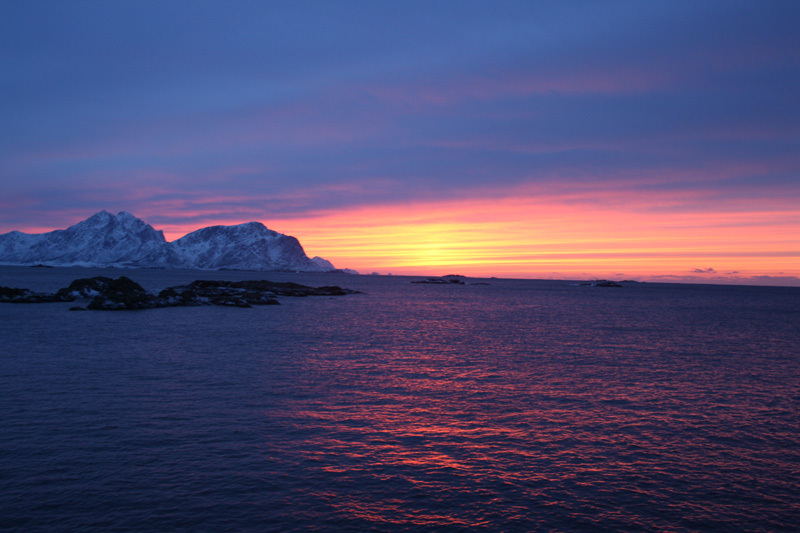 There are rumours about the arctic winter in Vesterålen and many are untrue. We are indeed situated at 68° north but the warm winds which come from the gulfstream drives the temperature to around 0 °C. Many of the other villages on the Eastern side of the Vesterålen, including Sortland will be much colder. 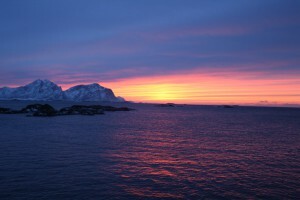 The darkest day in winter still provides daylight from 9am – 3pm in Vesterålen. Not everything you have read about the cold dark winters in Norway is true. Just like most of Northern Scandinavia from the middle of November through to the middle of January we do not see the sun. We still have at least 5 hours of daylight with beautiful colors. That is the reason why we mean not necessary the aurora borealis when we are talking about the northern lights.